Would the constellations we see from Earth look any different from other planets in our solar system? 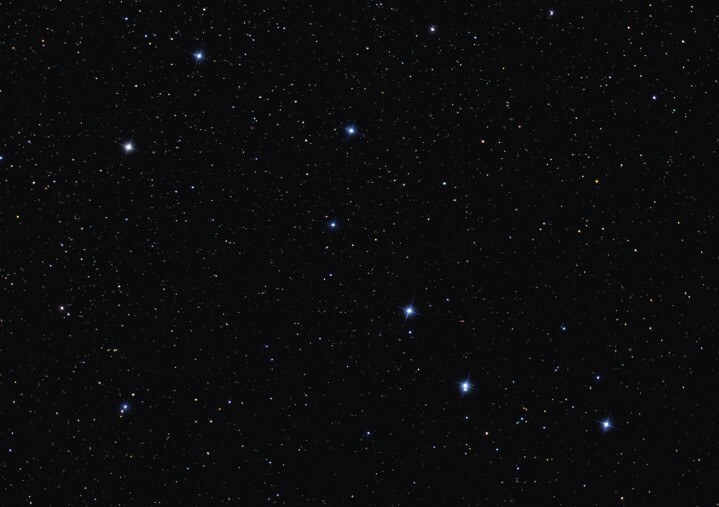 The Big Dipper cluster (Astronomy Picture of the Day); Credit & Copyright: Noel Carboni. Would the constellations we see from Earth look any different from other planets in our solar system? In other words, would the “Big Dipper” still be recognizable as such? The stars that we see and that make up the constellations are distributed in three dimensions more like blueberries in a muffin than like blueberries on a globe. From Earth, we see the stars in seemingly fixed positions because we can only view the 3D distribution from our vantage point. To our eyes, the stars appear as if in a photograph. Since the other planets in the Solar System all orbit the same central body as our own – The Magnificent Sun! – their vantage points are the same as ours on average, and you would surely recognize the Big Dipper in the night sky as photographed on any other Solar System planet. This answers your second question, but this restatement is perhaps not as equivalent to the original question as one would think. Since the stars are in a 3D arrangement, their positions would appear very different from a planet orbiting a different star. Suppose you were in the Alkaid System, orbiting the star at the far end of the Big Dipper’s “handle” (I admit, I had to look the name of that star up). Surely you would not recognize the Big Dipper as seen from the handle! This demonstrates that a difference in a stargazer’s location does affect the apparent positions of the stars. The planets of the Solar System do revolve around the same central body, but they do so on different orbits, so they will observe the stars from slightly different angles. But the distance between the stars is so vast compared to the size of the Solar System that this causes only a very subtle difference in appearance. To get a feel for the scale, imagine that I have an orange (fruit) in my outstretched hand here in Austin, TX, USA that represents the Sun. The Earth to scale would be the size of a tiny freckle on my nose, but the next nearest star would be all the way in Chicago, IL! Most stars that are part of the constellations are much farther still! Surely the position of an orange in Chicago isn’t going to appear to change much when viewed from my nose as opposed to my outstretched hand – definitely not enough to make a constellation unrecognizable. But, this small change in vantage point does cause a tiny but measurable change in the the positions of nearby stars on the sky. I’m deviating with excitement from the focus of your original question, so I will encourage you to learn more on your own about how astronomers measure the distances to nearby stars by observing the subtle shifts in their apparent positions. This method is called “parallax,” and here is one of many great links on the subject: Parallax and Distance Measurement.